Establishing Liability. Recovering Fair and Just Compensation. Liability, and the establishment thereof, is an important consideration when you’re involved in an accident involving a motorcycle in the Inland Empire area. California law awards damages following the principle of pure comparative negligence, and this is going to have an impact on how you receive damages if you are injured in a motorcycle accident. Understanding the difference is of vital importance and will impact your case, which is why it’s important that you have an Inland Empire motorcycle accident attorney advocating for you from the first day that you become injured. There are two different primary means for determining liability in the U.S.: comparative and contributory negligence schemes. Contributory negligence means that if the plaintiff contributed in any manner, even in the smallest amount, then he or she cannot receive compensation in any way. However, in California, cases are decided using the doctrine of pure comparative negligence. What this means is that the amount of damages that you will be allowed to recover will be based on the specific amount of contribution that you had to the accident. For example, if there is an extensive analysis of the accident, and jury determine that you were 50% at fault for the accident, then you are entitled to recover 50% of your total losses. This is an important principle because it allows individuals who were found not to be totally at fault to still file a claim in court for some financial compensation. Even if you were found to be partially at fault for an accident, you can still recover some damages. Establishing liability, then, is quite important when both of these doctrines come into play; but with comparative negligence, every percentage point of liability matters, because it can mean a large difference in the amount of damages that you recuperate when you are in court trying to receive compensation for your losses. Whether your accident occurred in San Bernardino or Moreno Valley, Ontario or Fontana, it’s important that experts analyze the facts of the accident in order to determine who was at fault, and to what degree, so that you can recuperate whatever losses you have sustained based on the other party’s liability. Working with an experienced motorcycle accident attorney will help you build a stronger case, which may lead to a better outcome given the circumstances of your accident. There is no reason you have to go through the motorcycle accident claims process alone, especially when it comes to a legal proof process such as establishing liability. 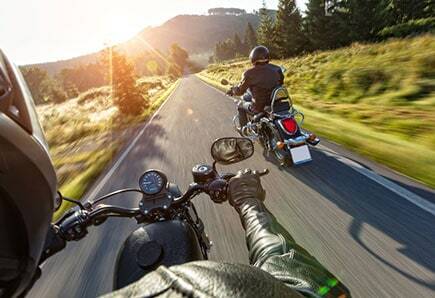 Call Inland Empire Motorcycle Law at (951) 290-3664 today to find out more about what our law firm can do for you. Establishing liability can be a difficult part of the claims process, but when you have a motorcycle accident attorney advocating for you, you can secure a more favorable outcome for your claim.